Soccer is definitely the most important unimportant thing in the world, especially nowadays. Whether you prefer to watch it or play it, you must enjoy a good game. In case you belong to the latter group, you know how significant practice is. Luckily for all passionate soccer players out there, there are more and more resources they can use to improve their skills. Excellent coaches over the world have discovered the importance of technology and are doing everything they can to implement it into training sessions. Coerver Coaching is definitely among the best teaching methods you can find. Coerver Coaching has been around for over 30 years, helping coaches all around the globe bring their teaching skills to the next level. Co-founders Alfred Galustian and Charlie Cooke are both living legends of soccer, so there’s no wonder their teaching method is one of the best and most respected in the world. Read this detailed Coerver Coaching review to learn more. Messi has won five FIFA Ballon d’Or awards and he still practices hard in order to be an even better player – and he’s already one of the greatest players of all time. Therefore, remember, no matter how good you are, there’s always something new to learn. Hence, Coerver Coaching offers tips and practices for players of all ages and skill levels. Coerver Coaching provides excellent practices for anyone, from 5-year-old children to professional soccer players. There are youth programs, high-level programs, and special programs for coaches. One of the main reasons why you should opt for this teaching method is that their long-lasting tradition speaks for itself. The fact that they have been at the very top in the world of soccer coaching and practice for decades now is a guarantee of their quality. Moreover, every tip you get comes from experienced, successful soccer experts. Every time you want to learn a skill, you should begin with finding a good guide, an approved master and Alfred Galustian and Charlie Cooke are definitely worth that tag. Tips and practices from Coerver Coaching are especially useful for coaches. Anyone who struggles with practice planning or simply wants to improve the performance of their team can learn a lot from Coerver Coaching. There are programs specially designed to help you organize your team, help it level-up, and boost the experience for both you and the players. Coerver Coaching helps you work on your technique too. You can learn how to assist like David Silva and much more. 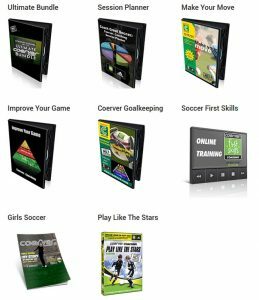 Coerver Coaching provides DVDs and e-books to make your soccer skill learning and teaching as simple as possible. They deliver their products anywhere in the world. In addition to DVDs and e-books, there’s now a Coerver Coaching app available on iTunes. Furthermore, there’s an excellent blog section you can find on their website Play Great Soccer. Anyone can browse through their great collection of over 100 tips on improving skills, speed, smarts, and much more. Most blog posts are enriched with extremely useful videos, which can also be found on YouTube. Additionally, the blog section features a convenient search box so you can find the topic you need in the blink of an eye. Soccer tips, drills, girls soccer, interviews, whatever you need, they’ve got it. The most powerful and most valuable thing you can have is knowledge. You want to become a world-class soccer player or super successful coach? Then you need to learn from the masters of the game. Fortunately for all soccer enthusiasts, two extraordinary professionals have decided to share their experience and teach anyone willing to learn. And you don’t even have to leave your house in order to get a piece of advice from Alfred Galustian and Charlie Cooke. All of their tips are collected and available on DVDs, e-books, and smartphone apps. You just need to go through their rich offer and find what you need. Coerver Coaching boasts 8 different soccer skill teaching plans: Ultimate Bundle, Session Planner Online, Make Your Move, Soccer First Skills, Improve Your Game, Coerver Goalkeeping, Girls Soccer, and Play Like The Stars. Although every plan can be very useful for both players and coaches, Ultimate Bundle, Coerver Session Planner, and Soccer First Skills are primarily coaching programs. Ultimate Bundle combines all programs Coerver Coaching offers in 3 packages to help you with coaching: Online, DVD, and both Online & DVD. Ultimate Bundle Online costs $347, the DVD is $297, and the combo costs only $397. Soccer First Skills teaches you how to work more efficiently with players from 5 to 10 years old and give them a foundation every pro soccer player could wish for. You can sign up for the 3-month access for only $25 or get lifetime access for $97. There’s a 30-day money back guarantee in case you change your mind. Make Your Move and Coerver Goalkeeping are recommended for both players and coaches. Make Your Move helps players to learn everything they need to become outstanding players. You can purchase the DVD for $99.97, e-book and online access to the program for $147 or the deluxe version for $197. Coerver Goalkeeping is specially designed for, well, goalkeepers. For only $49.95, you can get first-class goalkeeping tips on DVD. As already mentioned in this Coerver Coaching review, Coerver Coaching provides programs for players as well. There are: Improve Your Game, Girls Soccer, and Play Like The Stars. Improve Your Game helps you improve your skills, strength, and tactics. You can order this great DVD for just $69.95. Girls, if soccer is your thing, then make it perfect! Kristine Lilly, FIFA World Cup champion and Olympic gold medalist, shared her tips and tricks in this e-book, which you can buy for only $49.95 in order to get ready for an amazing soccer career. Play Like The Stars is created for every player who wants to make progress. Regardless of your age and level, purchasing this program for $19.95 can help you play like a real soccer star. Every soccer player would like to have the skills of Ronaldo and each coach dreams of being the new José Mourinho, who built his outstanding manager career by being a superb coach first. Your dreams might never come true, but what if they do? It’s worth a try, that’s for sure. 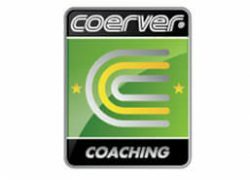 Founded by two soccer experts, Alfred Galustian and Charlie Cooke, Coerver Coaching provides a selection of premium tips for both coaches and players. 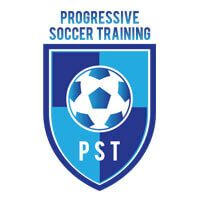 Their excellent programs have proven to be extremely helpful for improving soccer skills. Many renowned names from the world of soccer have spoken about the efficiency of the Coerver Coaching system, from the former coach of Chelsea and Real Madrid, Jose Morais, to Kristine Lilly, one of the most famous female soccer players. The essence of soccer mastery is now available on DVDs and e-books and no devoted soccer enthusiast should miss this opportunity to up their game. Great programs, really! I’ve always admired Mr. Cooke, so decided to give it a try and didn’t regret it, really! Ultimate Bundle is like a Bible in my house. I watch it with my kids and we practice every day. I must say you made me a better coach and also a better father. Thank you! So happy someone finally made anything for girls soccer! I’m used to following tutorials for male players, it’s working, no doubt, but this is really something. Tips from a real, successful female player really mean a lot. Good job here! Definitely helpful stuff. I’m a coach in junior high and have a real problem convincing kids to do the warm ups or any strength exercise at all. But your session planner helps a lot. I only wish you made some more plans, they’re really good. That’s why I go with 4 stars, to inspire you to get even better.